A resource website created for new moms that provides reliable news, information, support and helpful tidbits. my other pages and the news feeds to the right (scroll down). 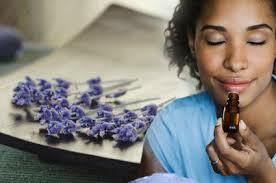 This page features my latest article for new moms. Enjoy! Once my daughter was 11 months old and ready to start crawling, I knew, with that, would come the need for more intense exploration. I knew she would want to explore new types of toys and objects. 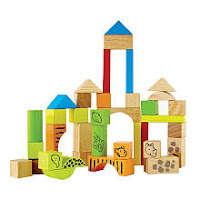 So, I decided that it would be best for her to start playing with different shapes, so that she could spend some time learning about what those shapes are; and what they looked like up close. Once she turned 1 year old (12 months), I decided that she needed to explore other shapes. She was excited to play with some of her birthday gifts which included the Edushape Sensory Balance Toy and the Melissa & Doug Chunky Puzzle of Safari Animals. So, we opened these gifts together and had fun playing with these new toys. "Yay, my new shape toys - I can't wait!" My daughter really liked the circular shapes the most. They came in blue, hot pink and yellow. She really loved the feel of these shapes since they were soft and easy to handle. I brought them with us wherever we went. She was always entertained and happy with this toy. I also decided to arrange the blocks in sets of three where one block was in a different color. In the picture below is a typical arrangement that I put together for her. I noticed that she would study the blocks when she saw them in this arrangement. 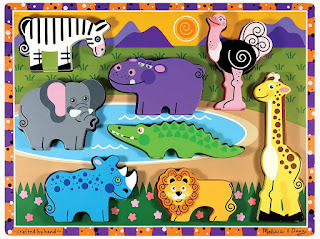 Next on the list was the Melissa & Doug Chunky Puzzle of Safari Animals. She loved the animal shapes and would hold on to her favorite ones the most. She was not ready to place the animals back in the puzzle, but I figured that this would come with time. In the meantime, she could have fun enjoying the safari animal puzzle pieces! After about 2 weeks with her new toys, I decided that I would need to play with her differently, because just having her sit and play with her toys was not going to be enough to entertain her. After my daughter's 1st birthday, I noticed that she liked playing with my summer sandals. I decided to let her play with two pairs while I watched. She really enjoyed playing with the sandals, and eventually, as you can see in this video below, she sorts the sandals by type. I am in the background saying the word "shoe" or "shoes" depending on whether she was holding one shoe in one hand or if she was holding a shoe in each hand. In this way, we made a little game out of matching the sandals together. If you have a chance, and want to understand this activity, watch the 04:09 video below. My daughter is 12 months and 12 days old in this video. I love this early video because she very happily sorts the sandals and is into her play time. Also, it gave me a chance to observe her learning process and enjoy the fact that she was having fun with my old sandals! I hope the video was helpful to those trying to help their babies explore the big world around them, while having fun with their baby (without stressing them out before they have had a chance to become who they are supposed to be in life). This series will continue over the next few months and I hope that new moms (and dads!) will have fun enjoying the videos, pictures, ideas and activities that I created for my daughter. In some cases, I created activities by accident while playing another type of game with her. By creating these activities, my time spent with my 11 - 18 month old daughter was enjoyable, happy and exciting for her. 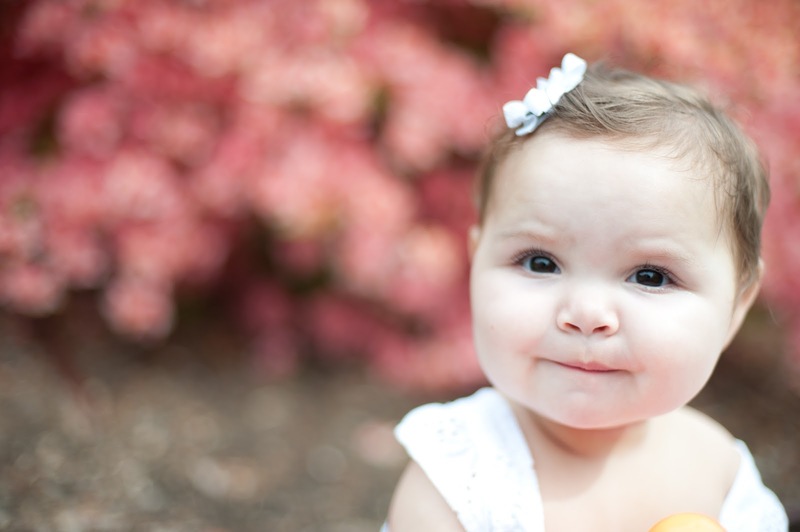 I love the fact that, at 18 months old, she was a very happy, smart and pleasant person. 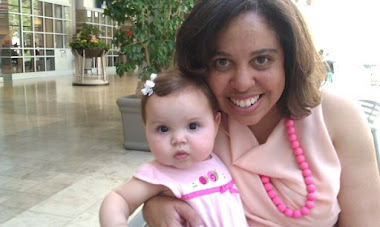 I hope these ideas benefit new moms and my NetworkforMoms.org buddies. Feel free to contact me any time, if you need to, at JoyE@NetworkforMoms.org. Happy play time everyone and Merry Christmas! *NetworkforMoms.org is not paid by any of the companies mentioned above. **Please do not use my articles, photos or videos without permission from me. Dad and me at the spray pool, Pierce park, 7-16-17. Mom and me at the spray pool, Pierce park, 7-16-17. Me at SmartSummers looking at sign, 7-6-17. At MFA Playdates, 8-19-17, working on my painting. 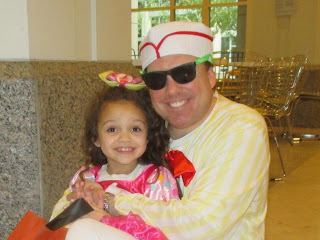 Me and Dad resting at the Pru Boo. Trick or treating at Barnes and Noble. Trick or treating at Sugarfina with Mom. Trick or treating at Lacoste. Trick or treating at Oakley with Dad. 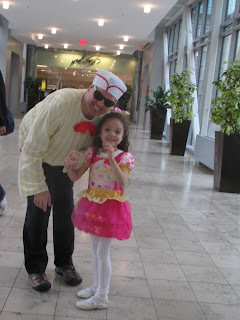 Playing with Dad at the Pru Boo. 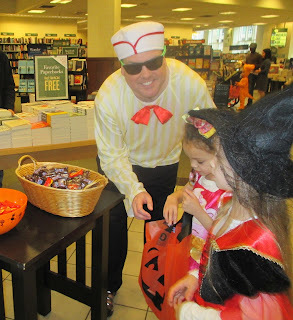 Trick or treating at Ralph Lauren. Trick or treating at Flywheel. Our family in cupcake and ice cream costumes at the Pru Boo! Me and Dad posing with turtle. With Mom searching my bag for treats at end of Pru Boo! Summertime is here! As parents know, there are different safety concerns during the summer months and with the 90+ degree temperatures that we are having this month, the children will want to spend more time outdoors in pools, spray pools and beaches. Therefore, once again, I am re-posting for my NetworkforMoms.org buddies the following news articles and links in regard to baby safety issues, food safety and parenting. Water Safety: Time to worry about water safety as summer approaches: Pools, swimming lessons, etc. Swimming can also help people with arthritis. Our daughter in her NFM t-shirt! For more information and links in regard to baby safety, click on the 'Baby Safety' tab above. Also, for a useful list of baby care tidbits, click on the '*Tidbits*' tab above. I wanted to inform residents of Massachusetts that all children between the ages of 0 - 3 years old who qualify for the Massachusetts Early Intervention Program will receive services at no charge. The income-based fee was waived in 2013 for every income bracket (the fee was between $0 -$1500 per child based on income!). My husband, Frank, feeding our 5-day-old daughter. Yum! I hope everyone finds these articles useful this summer as well as the other tabs above. Class of 2017! She will start first grade in the fall with her new friends! Hooray! My happy daughter playing with her stickers (10 months old). I hope my friends and adoring NetworkforMoms.org buddies enjoy your summertime fun with your families and have a relaxing 4th of July! 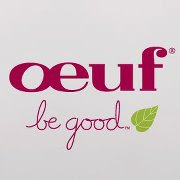 I wanted to share with my fellow moms and moms-to-be the products that I found incredibly useful during my pregnancy in 2011. 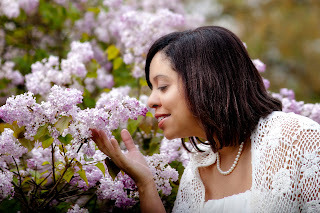 These items were absolute necessities and completely worth the investment because of the relief, comfort and relaxation that I experienced using these products. This pregnancy pillow was an absolute life saver! At 10 weeks pregnant I was feeling a lot of ligament pain at night and had a very difficult time getting to sleep. I bought the Snoogle that week and used it for the rest of my pregnancy and for several months post pregnancy. When I used the Snoogle for the first time, I had one of the most relaxing night's sleep that I had experienced in a long time. I was totally refreshed when I woke up and my ligament pain was completely gone. 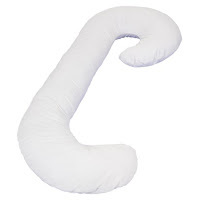 I highly recommend this pregnancy pillow - it cradled my stomach, my knees, my legs and gave me back support as well. 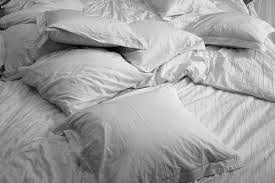 Get the Snoogle and avoid the need for all of those pillows! After the first trimester, I knew that the weight from my stomach and the ligament pain was going to be very uncomfortable when walking. I found the Prenatal Cradle Best Cradle support harness to be very helpful in relieving me from this discomfort. I could wear the Prenatal Cradle Best Cradle under my clothes to give me relief from the ligament pain and enable me to walk with comfort during the second trimester. The Prenatal Cradle Best Cradle support harness should only be used during the first and second trimester only because, during the third trimester, the stomach is very heavy and the cradle will be too small to support your stomach's weight. Nevertheless, this cradle brought me great relief from the ligament pain and made walking out to my car or in a store a much less painful experience. They come in a small, medium and a large size. I ate as healthfully as I could during my pregnancy but still felt that I lacked enough dark green vegetables in my diet. I bought Amazing Grass Organic Wheatgrass Powder (gluten free) and drank two glasses of it every day with cranberry juice and water. I had used this Amazing Grass Organic Wheatgrass Powder (gluten free) for 6 months prior to my pregnancy and found that my skin, hair and nails looked a lot better and I had more energy. Since this product was so helpful, I continued to use it during my pregnancy and found that it really helped me with energy and skin issues. In the last 6 weeks of my pregnancy, I really started to feel anxious about the big day. These feelings of anxiety were very paralyzing and I did not want to feel this way on the day that my daughter was to be born. I knew I needed something more than just soft music to relax me and give me some sense of control over these feelings. I found www.hypnobabies.com and downloaded an mp3 from their website to help me relax and prepare for the big event. The video really helped calm me down dramatically. Both the music CD and the Hypnobabies.com mp3 really helped me to feel totally relaxed and calm during my pregnancy, which ultimately, made my labor a lot easier. (Just as a footnote, I was asked by the maternity ward doctors about the types of relaxation techniques that I had used during my pregnancy because I was so relaxed during labor). In the final stretch of my pregnancy, the Pure Stress Relief CD, Hypnobabies.com mp3 and using Hyacinth scented diffuser oil with reed sticks (during early contractions) were an absolute necessity. Also, some women that I spoke to used Doggie Pee Pads to line the seat of their car for extra protection in case their 'water broke' while driving. 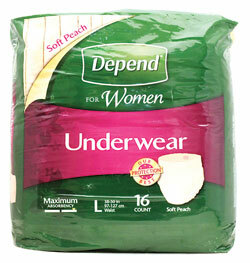 The Doggie Pee Pads come in many colors, are machine washable, contain absorbent inner layers and a leak-proof barrier. The My Brest Friend Breastfeeding Pillow was a life saver and wonderful to have when I fed my daughter. It has a built-in pillow for her head, making access to her food easier for her and more comfortable. 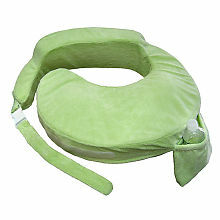 The adjustable strap allows this pillow to fit a woman of almost any size in the postpartum period. The pillow is stiff and does not bend in the middle at all (making the breastfeeding easier), is well supported with comfortable padding in the back and has a removable cover for easy cleaning (the Boppy, for example, bends in the middle, does not fit properly around a women's mid-section and was not originally designed as a breastfeeding pillow). Using the My Brest Friend Breastfeeding Pillow allowed me to feed my daughter without having to hold her up all of the time and wearing down my arm muscles in the process! 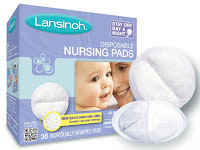 I initially bought the Lansinoh Nursing Pads and found these to be the most absorbent. 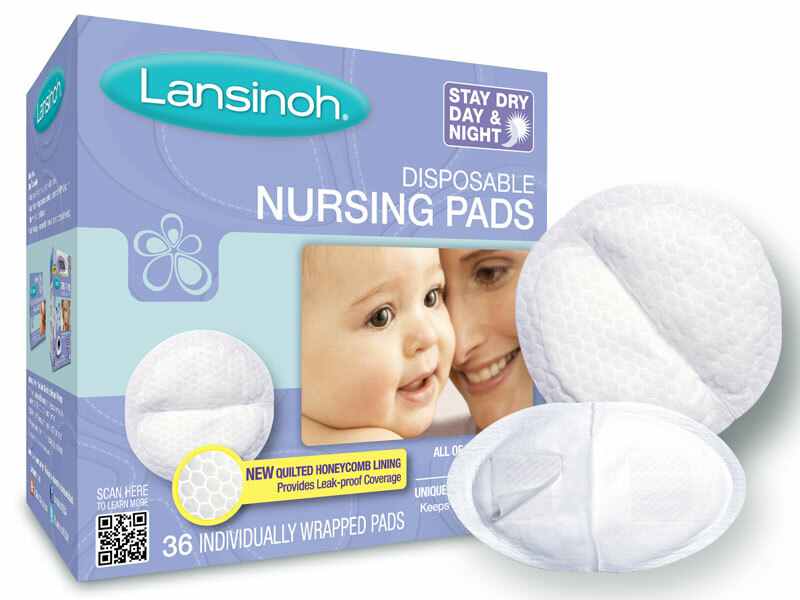 These pads do not break down when wet, leaving part of the tissue lining on your skin. This can be an annoying problem when breastfeeding because the tissue lining sticks to your skin and has to be removed quickly before feeding. If your child is crying and hungry, you don't need layers from a cheap breast pad sticking to your chest and making more work for you at that moment. 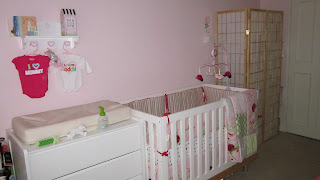 My daughter's nursery prior to her arrival! During the second trimester of my pregnancy, I decided that new storage space would be a necessity in the nursery beyond the closet storage. I needed it to be easily accessible and I wanted to be able to see all of the products and supplies that I had purchased as well. I went to Home Depot and bought 3 inexpensive wire closet shelving pieces (these ones can support 20-25 pounds of weight) and placed them behind the door to the nursery (which is normally a useless space). The diaper boxes were too heavy for the shelving which is why I placed them in the floor area of the storage space. I bought an asian-style room divider and used that to create a wall around the shelving so that it looked attractive, but hidden. The newly added storage space! I also bought several 8 1/2 x 11 inch pre-cut plexiglass pieces and placed them on the shelving. This allowed me to place bottles and other small items on the shelving without having them fall over or fall through the prongs of the shelving - it also allowed me to line up all of the products in order to see them better (see picture above). Piccolo Universe - http://piccolouniverse.com/en/- by Ricky Martin. Mr. Martin is the father of twin boys and created this parenting website for members to share information, experiences and tips, just sign up! In addition, parents can post questions on the forum to seek advice from other members. Comments can also be added to any article. In addition, Mr. Martin joins the diverse group of contributors on http://piccolouniverse.com/en/ with his own parenting experiences. Ricky Martin, father of 2. 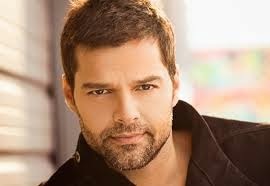 Mr. Martin, a Grammy winner and long time children's advocate, is committed to the well-being of children around the world through the Ricky Martin Foundation (http://www.RickyMartinFoundation.org/) that serves as an advocate for children in the areas of education, health and social justice. In 2014, they completed the Tau Center building in Puerto Rico, which serves victims of child trafficking and exploitation. Tau Center for Children, Puerto Rico, U.S.A.
During my pregnancy, I found Jean, a fellow 'mompreneur', who sold a kit to help reduce the look of stretch marks after pregnancy. Her kit included St. Ives Blemish Control Apricot Scrub, St. Ives Timeless Skin Collagen Elastin Moisturizer, Aloe Life Aloe Vera Skin Gel and a hand-held wooden massage brush. I applied the scrub to my stomach and scrubbed my stomach in a circular motion with the massage brush 3 times per month (every 10 days), after a 20 minute bath on each side of my stomach until my skin was slightly red. I then wiped my stomach clean with a wet cloth and mixed in a bowl a small spoonful of the skin collagen and a small spoonful of the Aloe Vera. I applied this mixture to my stomach with my hands. Every day I applied a small mixture of the Aloe Vera and the collagen to my stomach to help with the healing. Although Jean's kit is not sold online, you can buy the St. Ives products online at Walgreens.com, the Aloe Vera Gel at iHerb.com and the same massage brush at Amazon.com. Also, see pictures of my postpartum stomach below during the healing process. My stomach, 1 month post pregnancy. intermittently over the next 12 months (in some cases only using the cream after bathing). 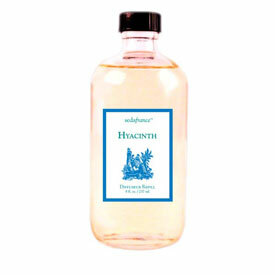 This remedy was very effective in reducing the look of my stretch marks. At 1 1/2 years post pregnancy, my stomach looks a lot better and the dark scars have significantly faded. I resumed using the kit (at 1 1/2 years post pregnancy) for 4 months straight. I used the healing cream for the next few months and took this picture to the right at 28 months post pregnancy. As you can see, the remaining dark scars have faded and my stomach skin no longer looks as severely scarred and damaged. I am happy with the result from using this kit, especially since it did not involve special skin treatments or surgery. I found a great service for postpartum women looking to alter their old, pre-pregnancy jeans that don't quite fit anymore. This company recognizes that a lot of women are tired of ill fitting maternity jeans or are not able to find the right fitting jeans to fit their waist! 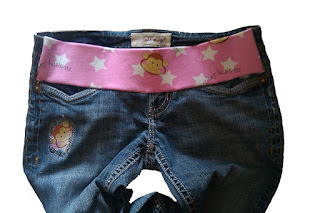 The website www.Belly-Jeans.com is owned by another fellow 'mompreneur', Cheryl Holst, who, after her 5th pregnancy, decided to use her sewing skills to make her jeans more comfortable during, and after, her pregnancy. Cheryl can convert almost any pair of jeans into comfortable maternity jeans using a special elastic band, known as the 'Belly Band'. She offers different styles, fabric choices and other sewing services such as V-Fly extension, hemming and patching. She can also convert shorts, skirts and other 'jean-cut' style pants. The average Belly Jeans maternity conversion runs $20 - $25 per pair of jeans (not including shipping). If you are looking to convert your old or new jeans to fit you better in the waist, check out her site and salvage your favorite jeans! Don't forget to mention NetworkforMoms.org! 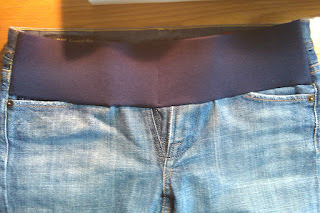 Here is a pair of my old jeans altered by Belly-jeans to fit my postpartum waistline (see picture to the left). As you can see, my jeans have a fun waistband color that will compliment my baby's clothes and my stroller. I chose the 'Full DemiBand' Belly Band with the V-fly extension. I just love my Belly Jeans and am so thankful for this service. Thanks Cheryl! Sign up for child development classes! I took several classes at Mama & Me in Boston, who have increased their number of classes for the 0 - 3 age group to meet the needs of the Boston community, www.MyMamaAndMe.com. 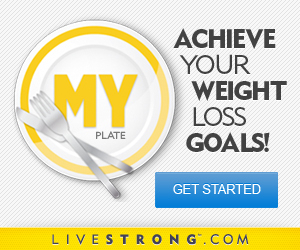 Once you are signed up with a free account, set your weight goals and start a My Plate menu. For online weight loss support, go to the tab called 'Community', click on 'Lose Weight' to join the weight loss support thread. This is a very positive and supportive group - one that I found very encouraging. 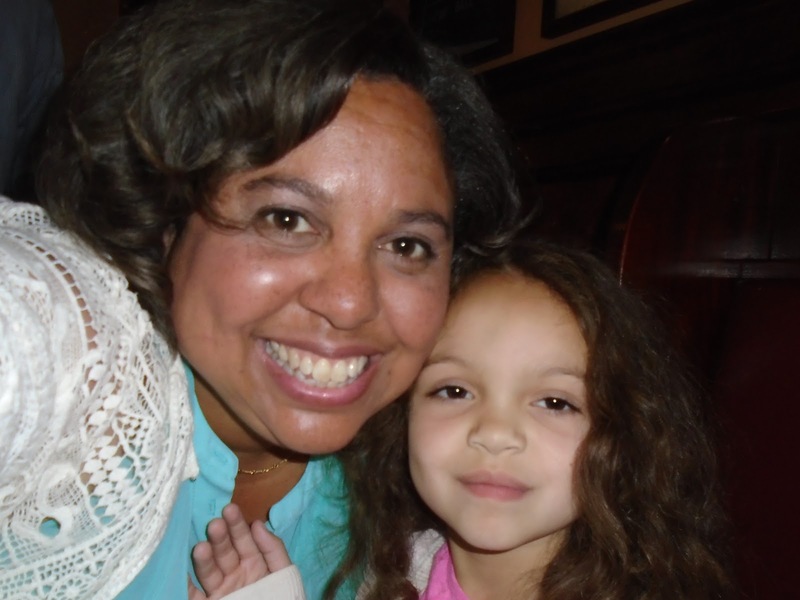 By joining the MOMS Club, I have been able to meet other mothers with children the same age in my neighborhood and attend or create play dates for the group at places in Boston that I have enjoyed with our daughter! I hope these ideas have been helpful and feel free to e-mail me anytime with questions at JoyE@NetworkforMoms.org. The article below appeared on the old IsisParenting.com's blog (they set up a Facebook) and was written by Isis fitness Instructor, Sara Knight, February 15, 2012. After pregnancy, many women notice an unwelcome belly bulge; sometimes called the “mummy tummy”, the “muffin top” or the “baby bulge”. Even if you were a fitness enthusiast before, during, and after pregnancy you may notice you just can’t seem to banish the bump! We often think that this new belly is from fat, but it’s actually due to changes in our abdominal muscle structure. During pregnancy the two halves of the outermost abdominal layer, the rectus abdominis, can become separated. This separation is called diastasis recti, and is the cause of the dreaded belly bulge. The separation happens because the growing baby and uterus put a forceful pressure on the connective tissue that holds the two halves of the muscles together, causing the connective tissue to stretch apart and become weak. Although not all women get diastasis recti when pregnant, it is extremely common. Also, the more pregnancies you experience, the worse it may get. How can you tell if you have diastasis? To find out if you have diastasis, lie on your back with your knees bent and your feet on the floor. Place a hand over your belly button with your fingers pointing towards your toes. Relax your abdominal muscles and lift your head like you are doing a crunch, bringing your ribcage towards your pelvis. Press with gentle pressure and move your fingers from side to side to feel the right and left edges of the rectus abdominis. You have diastasis if the gap between the muscle is 2 fingers wide or more. You may even see a bulge or mound protruding. You can also move your fingers above and below the navel to see how long the separation is. Can you prevent or reduce the separation? Sitting straight up from a lying position. 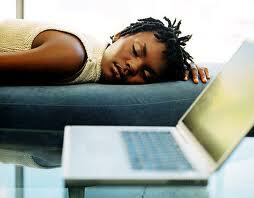 Instead, roll over to one side then use your arms to push you up without the help of your abdominal muscles. Abdominal exercises that work the exterior abdominal muscles, like crunches and oblique crossovers. These will put additional strain on your rectus abdominis. Lifting and carrying heavy objects or any other movements that cause the belly to protrude out upon exertion. Can I improve the situation? Yes. Wearing a splint over your post partum belly will help physically bring the two sides of the rectus abdominis together. Splinting while performing core strengthening exercises can help to heal the separation and strengthen the connective tissue. In addition, be aware of your core muscles. By engaging your core during movements such as climbing stairs or carrying a baby, you can prevent further rectus stretching and maybe even help shorten the gap. For most women, diastasis recti resulting from pregnancy is unavoidable. However, knowing is half the battle, and once you know that you have diastasis, you can be more thoughtful of your exercises and habits to help get rid of that “mummy tummy”! We appeared in the Back Bay, Beacon Hill, South End and Charlestown Patch.com's!! Organize your play date on Meetup.com! Retro Toys from Our Generation: Back to the Fun that the X-Generation Enjoyed! Bee's Knees Crawling Pants! A Must Have!! 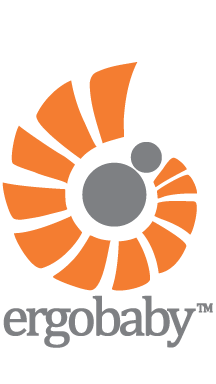 Click here to sign up for a free class! 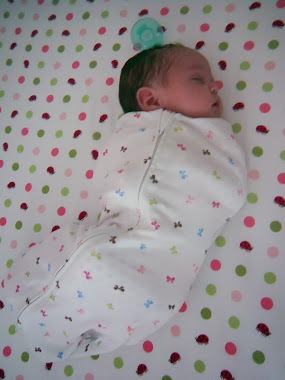 Sleeping peacefully in her Summer Infant SWADDLEPOD!! This was a GREAT product! Click on the pic to view at Toys R Us! ********Happy Birthday to******** networkformoms.org! 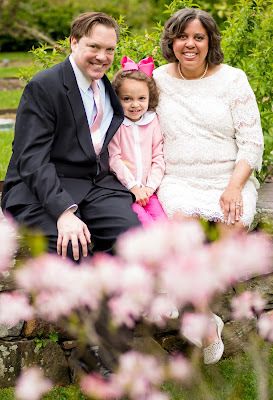 We Turned 7 years old on April 11, 2019! Happy Birthday NetworkforMoms.org! Love, E.